Raw Fudge Brownies. | Eat More Plants. They remind me of LÄRA bars. Only a few ingredients and decedent as hell. 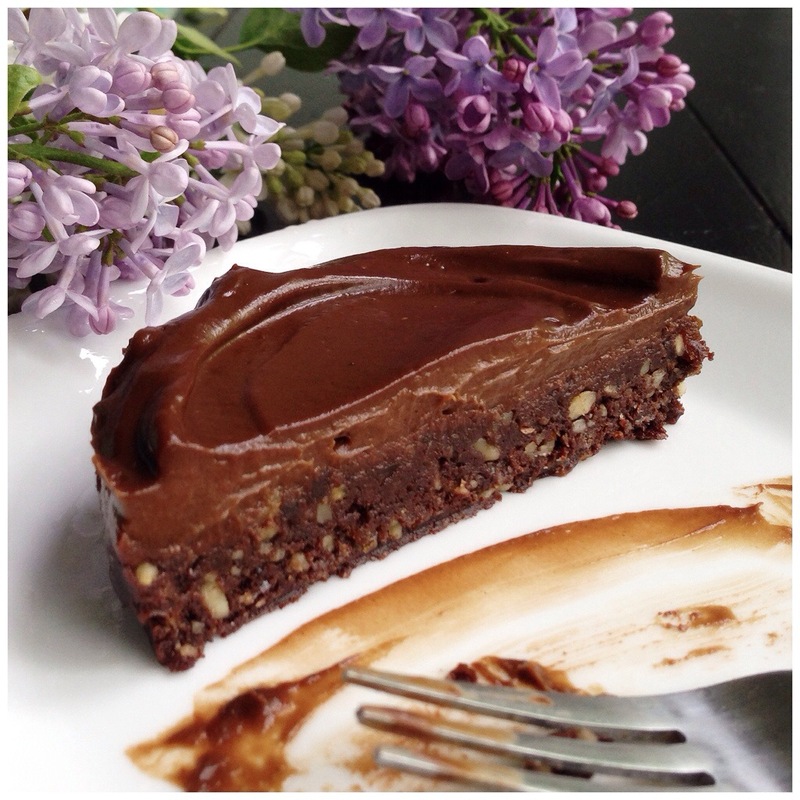 I topped them with chocolate avocado ganache…which isn’t a necessity but it’s a nice addition. Although if you plan on wrapping these up to take somewhere, you really can’t frost them. Add dates and blend until mix is sticky and becomes like a dough. Add remaining ingredients and blend just until incorporated. Not necessary to process until smooth; I like to have some texture from the walnuts. Press firmly into a pan/mold/cupcake tin. 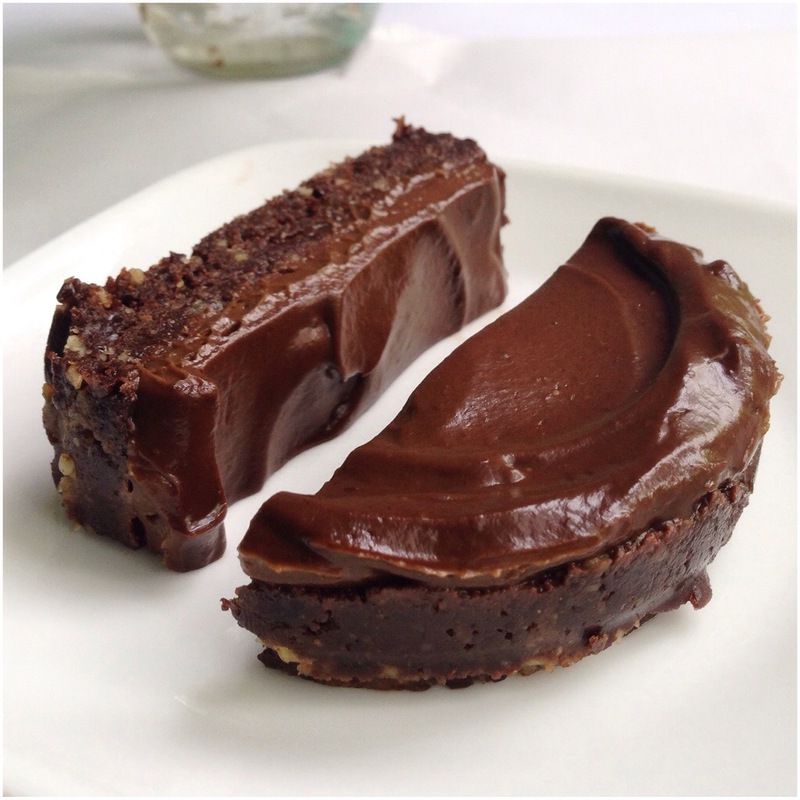 Serve with chocolate avocado ganache if desired. I am going crazy over these!